Colombia’s national army has killed six dissident FARC members in the southwest of the country, the defense ministry said Tuesday. The rogue guerrillas were killed in an offensive against “Gaucho,” the Ecuadorean commander of a group that abandoned Colombia’s peace process last year. In an exchange of fire between the army and the dissidents near the municipality of Tumaco, “Guacho” reportedly managed to escape. Authorities said they recovered three minors, believed to have been recruited by the group six months ago. The army also seized eleven rifles, two pistols, communications material and documents that are to be analyzed by military intelligence in another significant blow against one of the country’s most wanted criminal structures. “In an operation of high precision, carried out by the uniformed Public Force in Tumaco (Nariño), a structural blow was dealt to the residual organized armed group commanded by the man know as “Guacho” that neutralized six suspected members of that structure,” confirmed General Jorge Nieto in a Tweet on Tuesday. The national army’s efforts against dissident groups that stayed outside the historic peace deal with the now-demobilized FARC rebels are starting to show results with this blow coming just a week after 11 dissidents were killed in clashes in the Caqueta province. This latest assault on the group in Nariño marks one of a number of recent blows against this particular dissident group that has been terrorizing the border region with Ecuador. Several other men have been captured including Juan Mosquera and Kevin Rodriguez, alleged murderers of the social leader Harold Lerma. Ecuadorean authorities for their part, have reported the arrest of 48 people who are believed to be tied to the group led by Guacho, who have been engaging in drug trafficking rackets in the coca-rich area. FARC dissident leader “Guacho” has become a public enemy in both his home country Ecuador and Colombia after being accused of extreme violence in both countries. Guacho, whose real name is Walter Arizala, was born in Esmeraldas, the Ecuadorean province that borders port town Tumaco in the southwest of Colombia. It is uncertain how old the former FARC mid-level commander is. According to Ecuadorean authorities, he became one of the explosives experts of the FARC’s Daniel Aldana front, which demobilized near Tumaco last year. Additionally, he helped manage the profitable drug trafficking routes of the former guerrilla units in the coca-rich area around the port town. Throughout his guerrilla career, Guacho has only operated in Tumaco and the jungles on the Ecuadorean side of the border. By the time he took part in the FARC’s 2016 ceasefire, Guacho had become a unit commander, he told RCN Noticias in 2017. The mid-level commander initially agreed to take part in the peace process, he said, but lost confidence in both the government and his guerrilla superiors. According to Guacho, “only the top-level commanders will benefit” from the deal between the FARC and the administration of President Juan Manuel Santos. 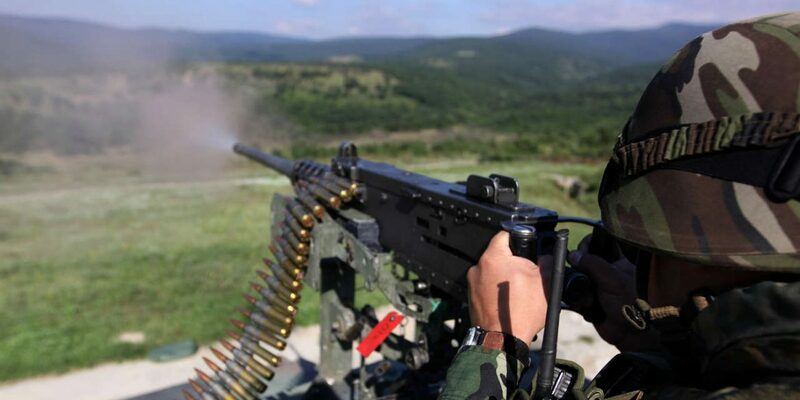 Due to the increasing criminal actions of the group under his command, Gaucho has become a top priority for the Colombian Armed Forces as they continue in their efforts to curb the influence of dissident groups. According to think tank Fundacion Ideas para la Paz (FIP),18 offshoot factions have formed from the demobilized rebel group throughout Colombia. Between 1200-1500 fighters of the 14,000 that demobilized in 2016 have retaken up arms, predominantly in central and south-western regions in Colombia, according to an April report by the body.